Sunday did not start well for Aleix Espargaró due to a crash on turn seven during the warm up session that left the rider with pain in his neck and in less-than-optimum conditions for riding in the race. From the start, Aleix had to deal with a grip problem at the front that had a decisive impact on the early laps, so much to convince him to pit on the seventh lap. 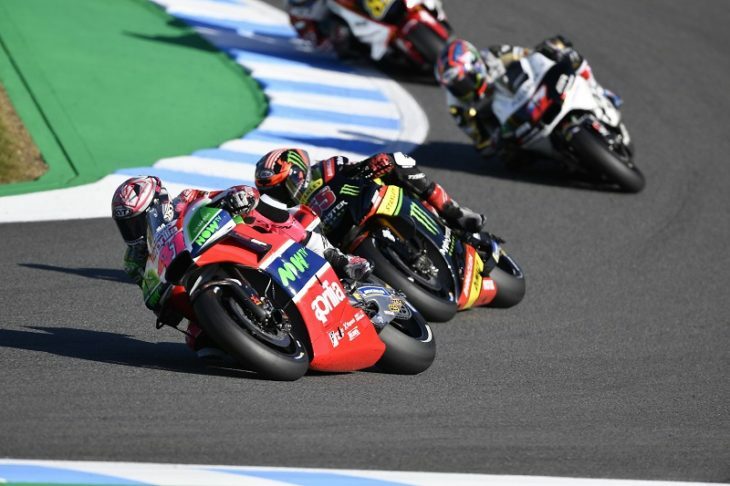 Scott Redding rode the only RS-GP over the finish line in the Japanese race. The English rider finished nineteenth, so outside of the points zone, despite a good start which, in the early stages of the race, had placed him in the battle for a good finishing position.